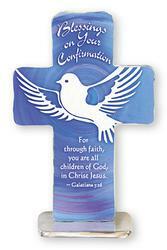 Silver Plated Confirmation Metal Photo Rosary Box. 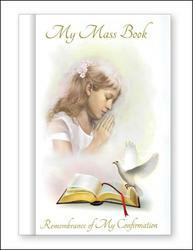 Rosette Confirmation Gift Set Book, Rosary & Dove Brooch. 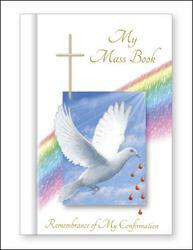 Red Confirmation Gift Set Book, Rosary & Dove Brooch. 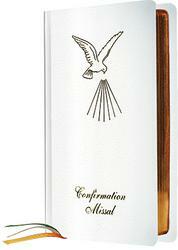 Dove Confirmation Gift Set with Book, Rosary & Necklace. 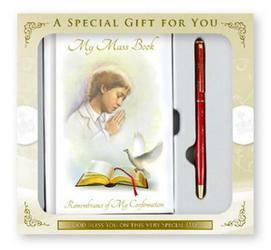 Boy's Confirmation Gift Set Dove Book & Confirmation Pen. 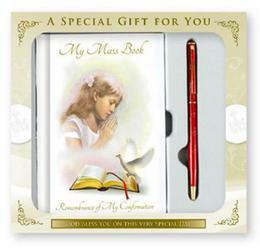 Girl's Confirmation Gift Set Dove Book & Confirmation Pen. 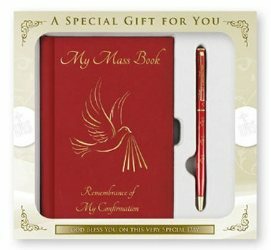 Red Confirmation Gift Set Dove Book & Confirmation Pen. 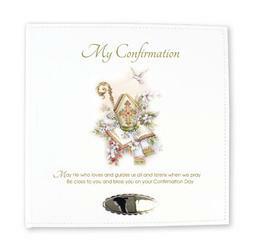 Keepsake Leatherette Photo Album - My Confirmation. 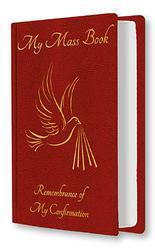 Souvenir of Confirmation Red Hardback Prayer Book. Confirmation Roman Missal White - Gilt Edged. 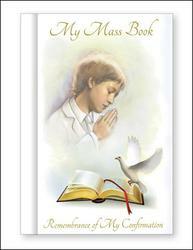 Remembrance of My Confirmation Book for a Boy. Confirmation 925 Silver Plated Dove & Fish Necklace. A Confirmation Silver Plated Miraculous Medal Necklace. 18ct Confirmation Celtic Cross Necklace.